Menakibu’l Arifin, written by Shemseddin Ahmed el Eflaki, consists of 10 chapters, describes the life of Mevlana and his circle, and represents the result of the writer’s 36- year work.The presence of common concepts about Ali in Sufi culture in the 13th century and after, is put forth through scientific researches in the forms such as Ekberi, Ahi, Bektashi, Kadiri, Mevlevi, Halveti, Bayrami understandings. This case shows that the concept of Ali and Ehl-i Beyt has found its expression with a truth beyond denominational concern within this cultural environment. Despite different frameworks in their contents, the issue of “Ehl-i Beyt” and “the Twelve Imams” is an important and common theme of the Bektashi-Mevlevi understandings and their texts, which are our subject of research. In the time of Mevlana and Haji Bektash Veli, the advocacy of ehl-i beyt, which hadn’t yet gained a political or ideological identity in the sense of Safaviyya, was prevalent among Haji Bektash Veli and his followers as well as among Mevlana and his followers. There is quite a number of the Mesnevi, Divan-i Kebir and Rubais verses that praise imams, especially Ali, Hasan and Huseyn, and, on the other hand, condemn Muaviye and especially Yazid. 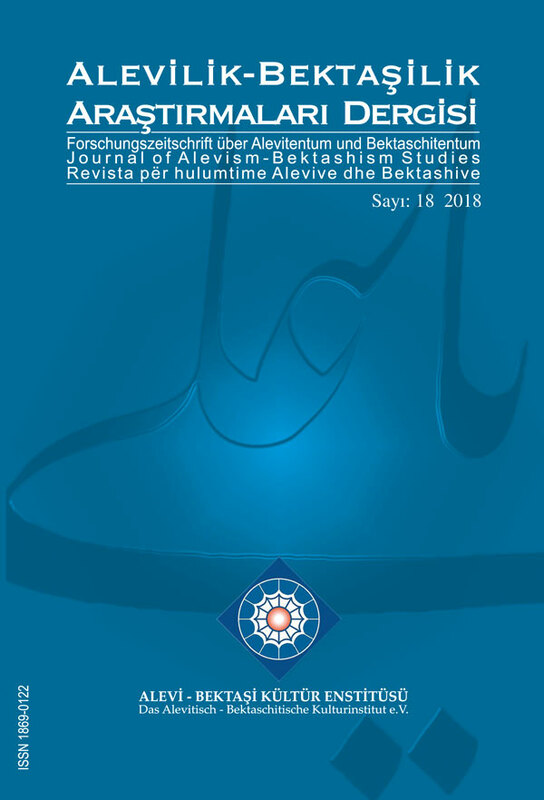 Some researches imply that the Nur-i Muhammedi understanding occurs in the Ahi and Bektashi understandings, and even that these two understandings were influenced by Shia/Qizilbash in the 16th century, so the rule (erkan) and moral (adab), features of the Ahi and Bektashi understandings, largely resemble each other, in fact most of rituals exactly match each other. The matter of “şed kuşanma” (the ceremony of becoming a master), one of the most important rituals of the Ahi understanding, takes an important place in the Imam Jafar’s Command. This paper shows the similarities and differences of the Bektashi, Ahi and Mevlevi understandings, which took part in shaping of the Turkish political history between 13th and 16th centuries, according to Menakibu’l Arifin. Aydoğdu, N. 2018. Connection Among the Mevlevi, Ahi and Bektashi Understandings According to Ahmet Eflaki’s Menakibu’l-Arifin. Journal of Alevism-Bektashism Studies. 18 (Dec. 2018), 319-340. DOI:https://doi.org/10.24082/2018.abked.202.